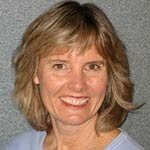 After hearing Marshall Rosenberg speak and completing a NVC training with Jean Morrison, Christine realized Nonviolent Communication was the missing link between her twin passions of mindfulness and relational work. In 2000, she began studying NVC extensively: attending classes, workshops, retreats, and international trainings to prepare her for NVC trainer certification in 2004. Christine experiences NVC as a process of deep inner work, spiritual practice and transformation. She is continually learning and developing new ways to present and teach the skills. Over the years, Christine has studied with some major thinkers of our time: Byron Katie, Angeles Arrien, Joanna Macy, Cheri Huber, and S.N. Goenka. When she teaches, she incorporates ideas from spiritual teachers such as Eckhart Tolle, Pema Chodron, Tara Brach, Adyashanti, and Thich Nhat Hanh. Christine is very interested in restorative work and has studied with Dominic Barter and Kay Pranis. She began a pilot project in two local schools introducing Dominic's Restorative Circle model for adults and children. Among Christine’s teaching venues are: Santa Cruz Women's Jail, Stanford University, UC Santa Cruz (where she teaches a yearly course to 75 students), and a weekly drop in class called "NVC as Spiritual Practice" at the Center for Compassion. In the fall of 2011, she will be overseeing a NVC living/learning residence hall at UCSC. Christine holds a master's degree from the University of Geneva, Switzerland in international studies. She loves traveling, reading, singing with the Threshold Choir, Vipassana meditation and swimming with the Master's Program at UC Santa Cruz. Along with Jean Morrison, Christine has developed six NVC teaching tools, including card games for adults and children, an illustrated booklet, a facilitation guide with over 150 games and exercises and an iPhone application.